The third race of MotoSurf WorldCup 2017 took a place on Wyboston Lakes in the United Kingdom. 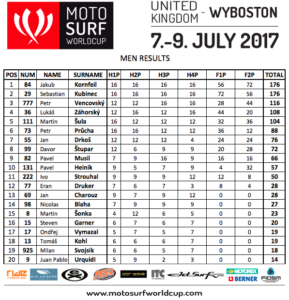 Jakub Kornfeil found the fastest pace on Saturday’s qualification. Right behind him was Slovakian rider Sebastian Kubinec and third Lukas Zahorsky. 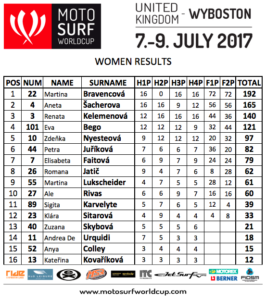 In women’s qualification, the fastest time had Aneta Sacherova. 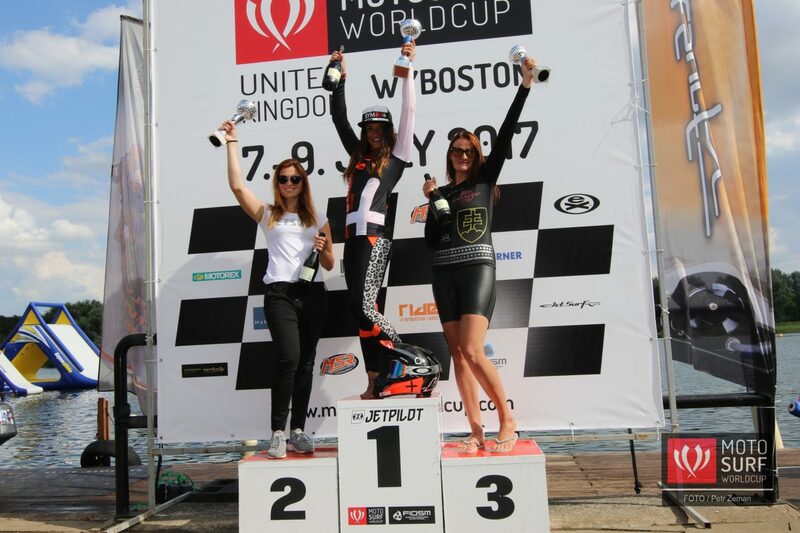 The second was Martina Bravencova with the time only 0.111s slower than Aneta Sacherova. Third fastest time had Renata Kelemenova. 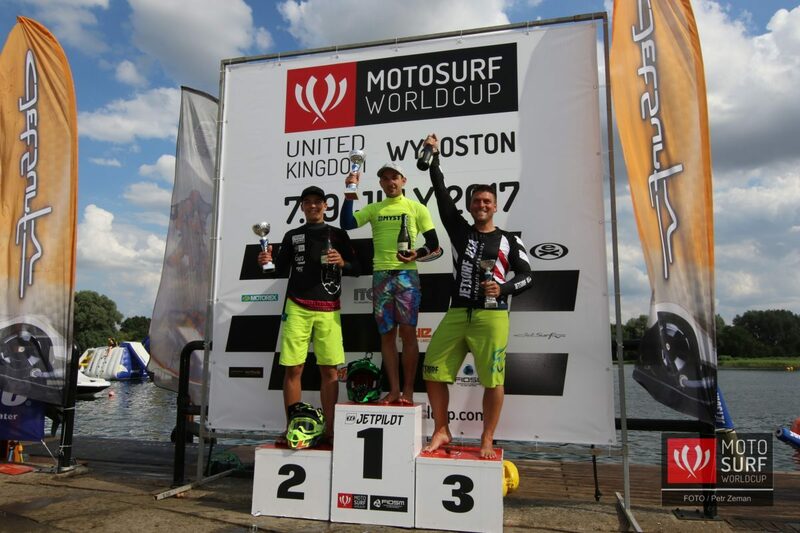 Even though Sebastian Kubinec won the first final race making a very fast ride and clever tactical move on the joker buoy, it was Jakub Kornfeil who took the overall victory with the second and first spot from the finals in a very tight battle. 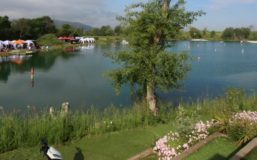 Improving the joker buoy tactics, Jakub Kornfeil managed to win the second final shootout. 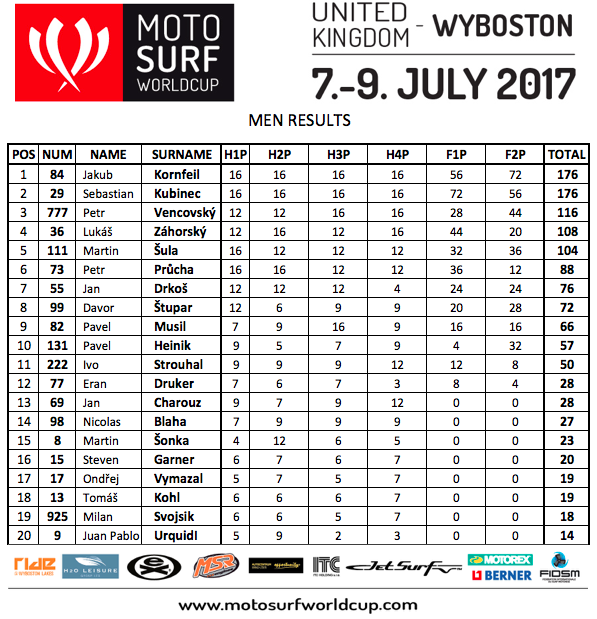 However, Slovakian rider Sebastian Kubinec reached his goal and increased points leading in the series. 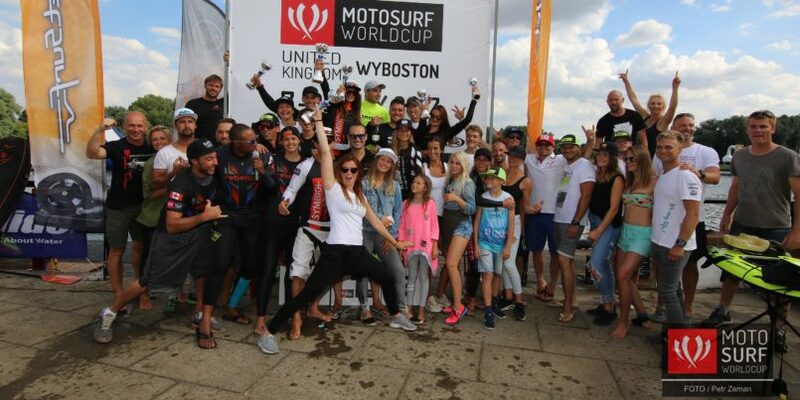 Petr Vencovsky from Jetsurf USA team repeated the podium from last race in Russia and finished third. 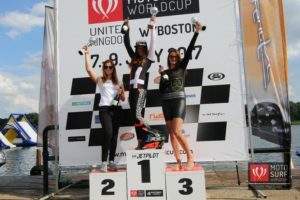 Championship rivalry between Martina Bravencova and Aneta Sacherova underlined a great racing weekend in the women class. 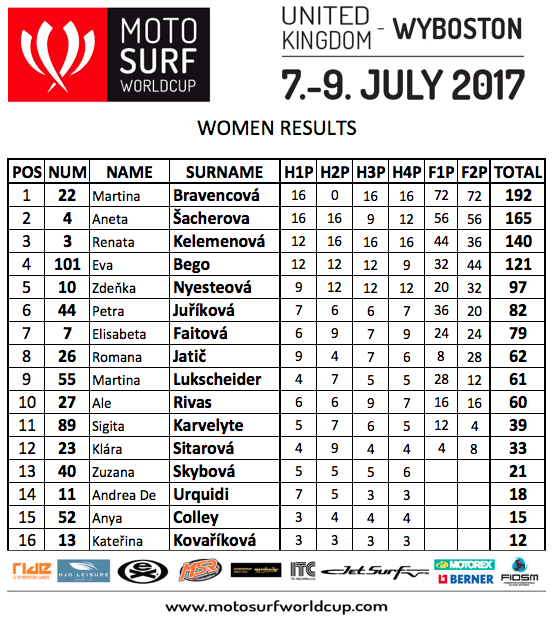 A confident performance from Martina Bravencova resulted in victory in both finals and also overall. 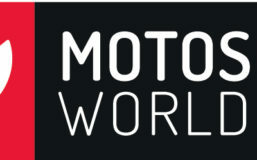 Aneta Sacherova managed to take the second spot despite her crash in the second final round. Happy Martina Bravencova is leaving Wyboston Lakes as a new Championship leader. The race took place in the United Kingdom so of course, everybody was a little bit afraid of the weather. At the end, it was a thing they didn’t have to worry about at all. 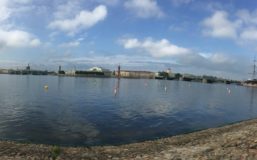 It has been three sunny hot days, really unusual for English weather.